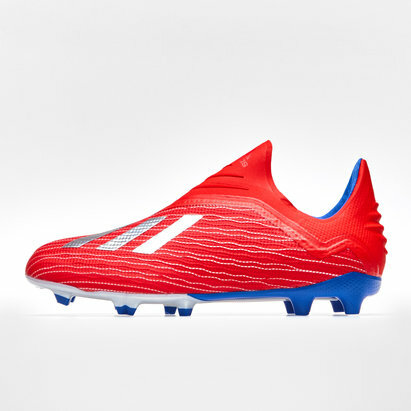 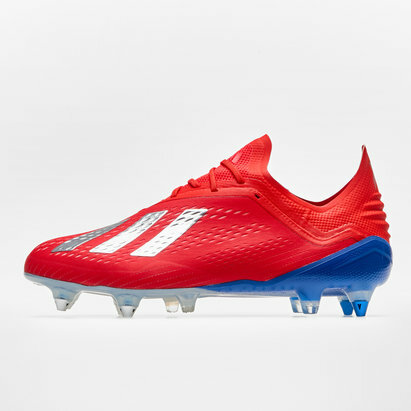 Sculpted for speed, dynamic and streamlined, be fast and more competitive than ever when lacing up in a pair of X 18.1 FG Football Boots from adidas in Active Red, Silver Metallic and Bold Blue. 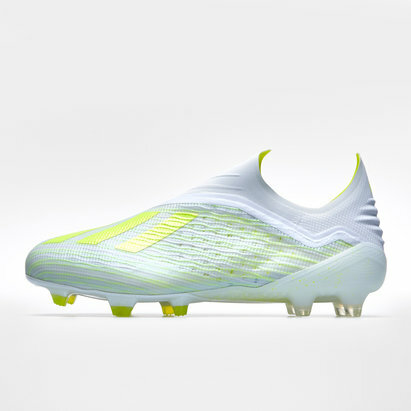 Introducing a boot designed to bring speed to your game, this adidas X 18.1 has been re-engineered for quick movements and better agility. 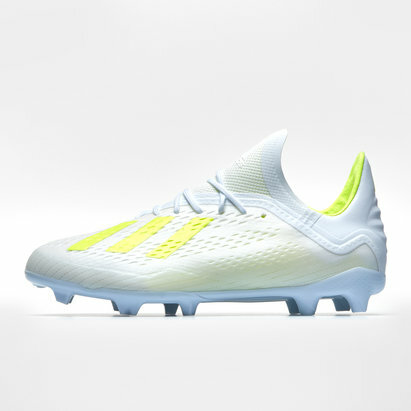 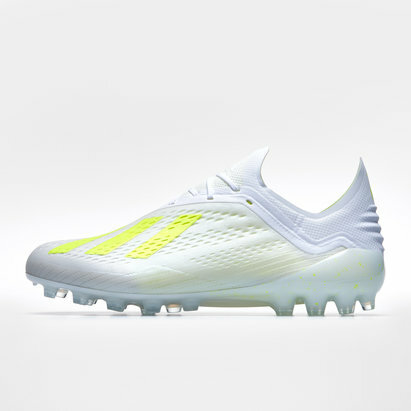 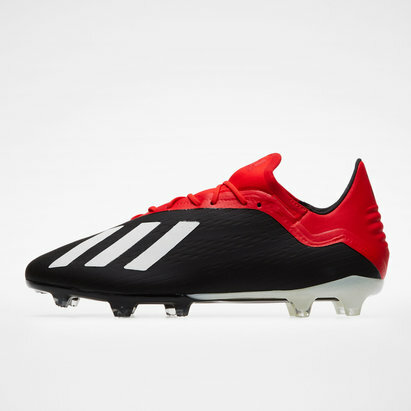 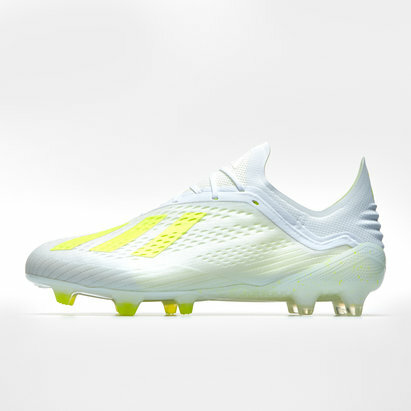 These soft ground football boots are stripped down to the essentials. 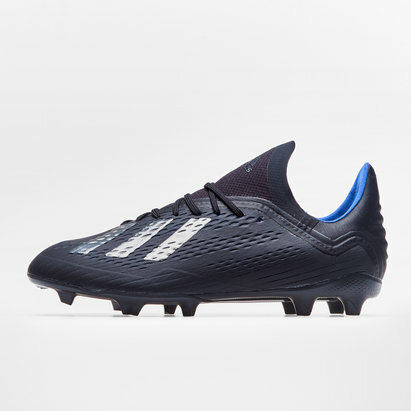 The ground breaking new stretch materials used for this boot lock the foot in providing ultimate stability and support in the low cut silhouette. The improved super soft and adaptable speedmesh material used produces a glove-like feeling whilst the innovative collar shape has been optimized for the ultimate heel wrap during explosive movements.